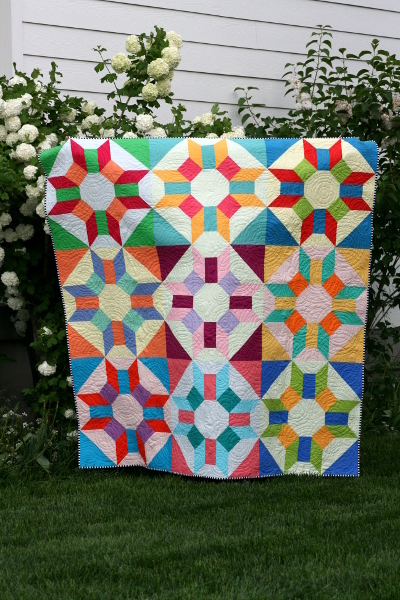 This quilt is a celebration of color! Sometimes I enjoy making a second version of a quilt to find out what it will look like in a different style, and to teach myself to see potential beyond my first creative impulse, or my tried and true, “safe” fabric choices. So my Prosper quilt became an experiment in solids. I used color combinations that made me uncomfortable, and they ended up my favorite blocks. I also used several different soft pastel colors for the backgrounds. I like the subtle transition that comes with that choice, and again it was an attempt to challenge my usual design choices and try something different. Melissa Kelley (Sew Shabby Quilting) quilted it for me with these awesome circles all over it and I’m thrilled with the outcome. 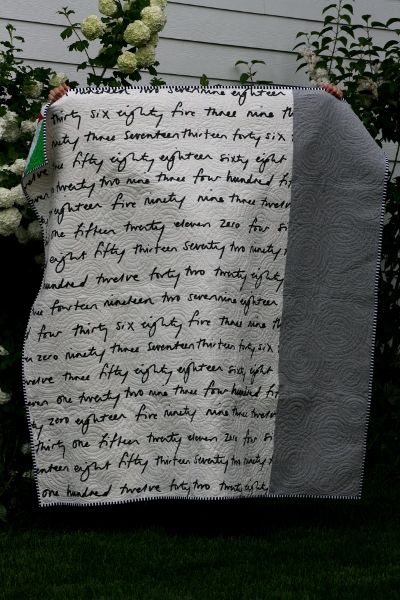 I was also excited to find that I had enough of the IKEA number fabric to use it on this quilt. I’ve backed a lot of quilts with it over the years, but they have all been gifts and I’m happy to have it on the back of one that will stay here. My handsome quilt holder wanted a photo too. 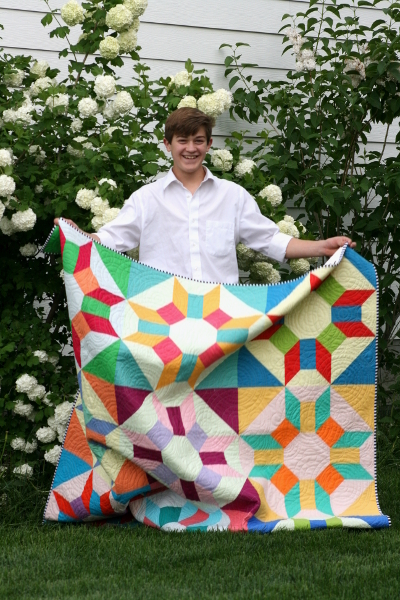 This is my 15 year old son who is also a good sport about holding quilts for me. 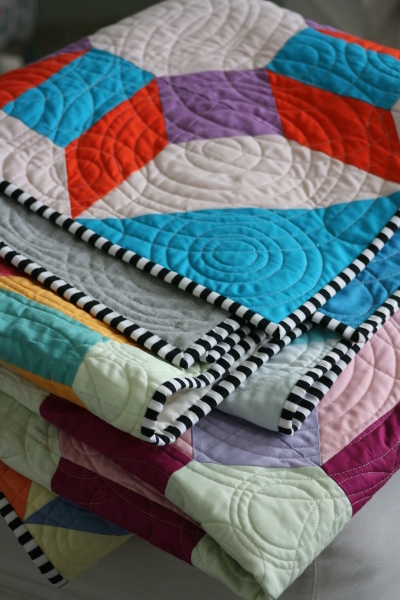 A black and white striped binding is the perfect finishing touch to this quilt, adding a touch of whimsy and framing the colors perfectly. My favorite choice for binding. 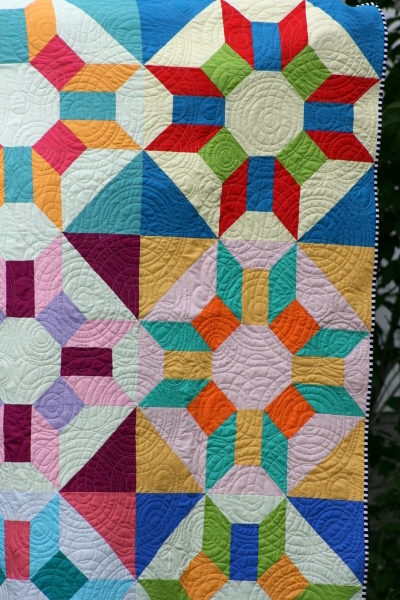 I have enjoyed experimenting with this beautiful vintage quilt block. 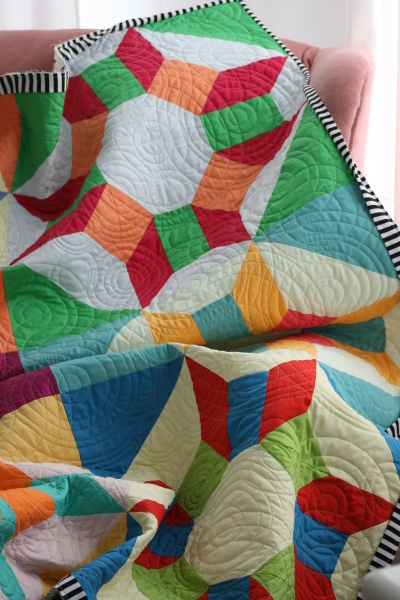 What a blessing it is to make quilts! Hope your day is fantastic! Thanks for visiting. Beautiful quilt Jennifer and a handsome young man what a combo to treasure. I adore this design in solids! 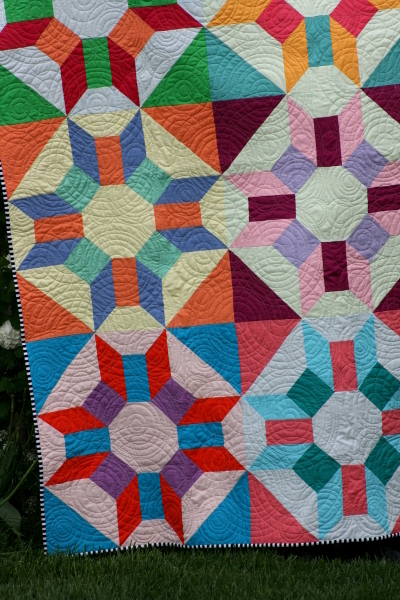 The quilting is wonderful too. Thanks for sharing it here.